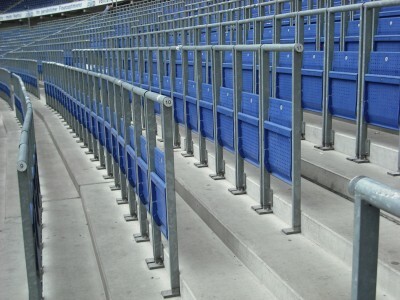 #StandAndSing is campaigning for a change in the law to allow safe standing areas in British football stadiums. Standing in football stadiums was used as a scapegoat following football tragedies such as Hillsborough, but following extensive reports it has been concluded that standing was not at fault. As well as this, we can see from our Scottish and European football counterparts that standing promotes atmosphere as well as crowd intimacy with the clubs. Through education on how standing can be implemented safely, as well as fan’s accounts and opinions of those within the game, we will be looking to create a change which not only allows standing but caters for families and other fans. Arsene Wenger, David Gold and many others inside the game have voiced their opinions and believe standing is the most logical step in bringing the premier league forward. During this campaign, we will speak to those who attended Hillsborough, families with children who want to be involved in the creation of standing areas in the Premier League, as well as explaining the mechanisms of standing areas across Football today and how this campaign believes it can be implemented.